Two Aussie traditions in one mouthful! 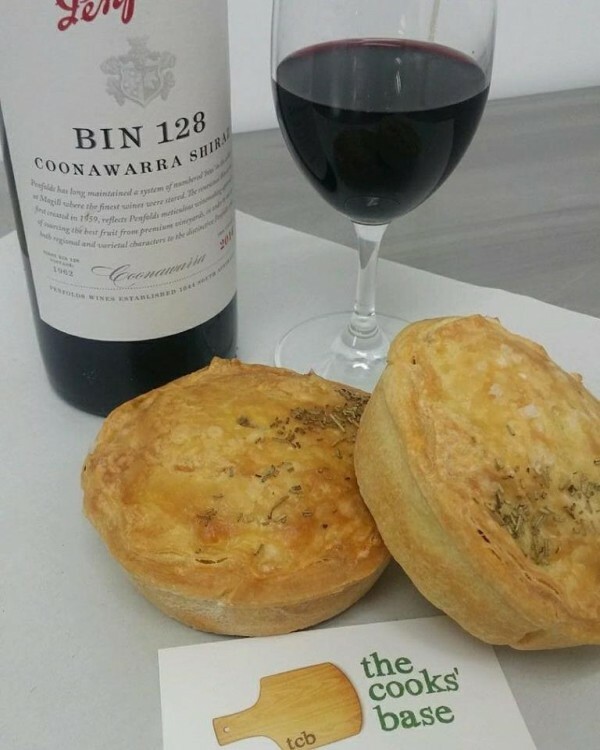 The Cooks' Base are collaborating with Penfolds to offer the Penfolds Bin 128 Shiraz Meat Pie over the Barossa Gourmet weekend! Get your fill at The Cooks' Base - they will be open Saturday & Sunday 11:30am-3:30pm. While at Provenance be sure to visit the Penfolds Cellar Door to taste the wine that inspired the pie!